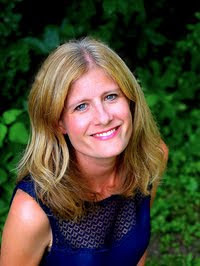 I was recently able to ask Kaethe Schwehn, author of the just-released dystopian novel "The Rending and the Nest" a few questions about her career and new book. She is an award-winning writer and poet and currently lives in Northfield, Minnesota where she teaches at St. Olaf College. The interview in full is below. I know you have a collection of poetry and a memoir out, is this your first novel? It's my first published novel. I have another one languishing in a drawer somewhere. Almost five years ago. It took three years to write and then the submission and publication process took almost another two years. Could you talk a little bit about what your writing process was like for this book? I write longhand first. I filled up a number of journals trying to figure out the characters and the setting. Once I knew where the story began I started typing. When I finally submitted it to the amazing woman who is now my agent she suggested that I needed to expand the ending. I thought she meant I needed to add a page or two. "No," she said, "I think you need about another 20,000 words." She was absolutely right. I'm in the beginning stages of an historical novel set in 4BCE. What is one piece of advice would you give aspiring writers? When 95 percent of the earth's population d isappears for no apparent reason, Mira does what she can to create some semblance of a life: She cobbles together a haphazard community named Zion, scavenges the Piles for supplies they might need, and avoids loving anyone she can't afford to lose. She has everything under control. Almost. Four years after the Rending, Mira's best friend, Lana, announces her pregnancy, the first since everything changed and a new source of hope for Mira. But when Lana gives birth to an inanimate object--and other women of Zion follow suit--the thin veil of normalcy Mira has thrown over her n ew life begins to fray. As the Zionites wrestle with the presence of these Babies, a confident outsider named Michael appears, proselytizing about the world beyond Zion. He lures Lana away and when she doesn't return, Mira must decide how much she's willing to let go in order to save her friend, her home, and her own fraught pregnancy. For geologist Kea Wright, when a volcano erupts under an ice cap, it isn't just a good time, it's a living. Camped at the base of an icecap in southeast Iceland, Kea and her team are investigating landforms created by catastrophic floods. With only days left in the field season, bad weather on the way, and the volcano due to erupt at any time, the team is struck by a tragedy that threatens to shut down the entire project. As the team rushes to complete their work, the expedition continues to be plagued by setbacks, leading Kea to wonder if the initial tragedy was an accident after all. During her reluctant - and inept - attempts to investigate, Kea inadvertently stumbles upon a secret. One so valuable, someone is willing to kill to keep it hidden. 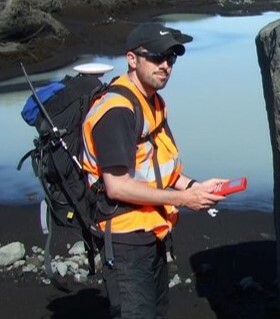 Raised by librarians, RJ has a PhD in Geology, and has worked on volcanoes and glaciers across the globe. Cold Flood is his debut novel, mixing genres of actual scientific expeditions and thrillers. The adventures of Kea Wright will continue in the forthcoming novels Meerkat Murders and Mammoth Drop in 2019. Find Cold Flood on Amazon! Goodreads Giveaway: Wildcat by JP Harker! Set in a world inspired by Iron Age Britain and Imperial Rome, this first book of the Caledon Saga follows Rhianwyn through many trials and tragedies as the would-be conquerors turn her world completely upside-down. My college has a J term, which means for the month of January we take one class that we attend every day instead of the more usual three to four classes that we take two to three times a week during a semester. This year I took Exploring Literary Publishing. 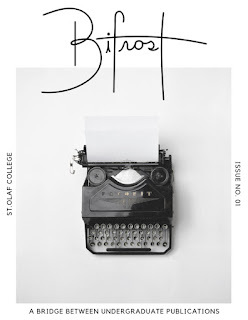 This class has taught me a lot about the publishing world, especially because it gave me a perspective outside that of a book blogger, but one of the coolest things about it is that we got to create our own literary journal! Our professor came up with the name "Bifrost," but gave the class free rein to decide what the journal's mission would be. We decided that Bifrost, like the rainbow structure from Norse myth it was named after, would serve as a bridge. In this case, a bridge between undergraduate literary communities. There are so many terrific undergrad journals out there, but they all operate in their own bubble more or less. 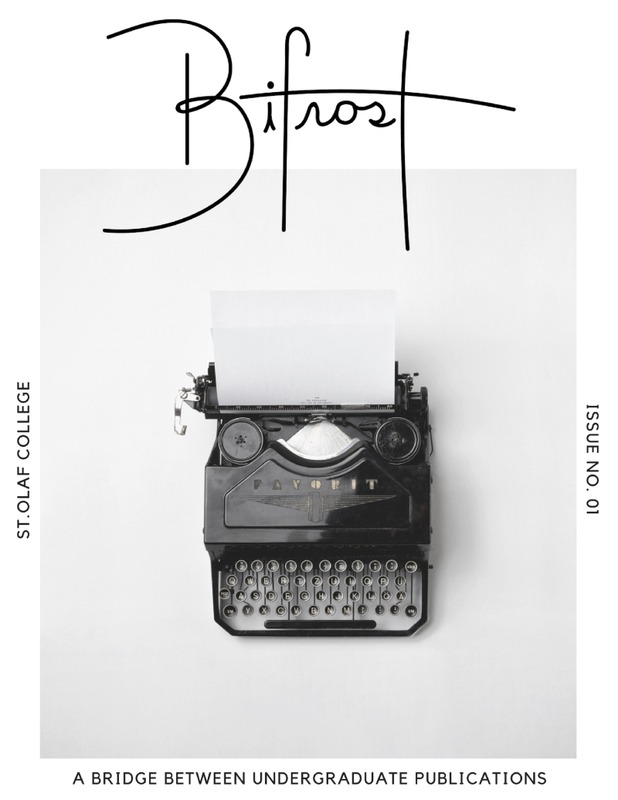 Bifrost is seeking to change that by reprinting works featured in other undergrad journals to create a space for sharing and community building. We are also trying to bridge the gap between journals that feature only student writers and journals that feature professional authors. We are currently doing this by including reviews of a wide variety of journals in our first issue as well as featuring interviews with literary professionals. While the whole class helped decide Bifrost's vision, I was specifically working in the social media group. This meant I helped create and build our social media accounts (Twitter, Facebook, and Instagram), set up a Buffer account (a platform for organizing and posting on all our accounts in the same place), and coming up with content for posts. I definitely learned a trick or two that I plan to implement for the Howling Turtle in the future. Even though a new team is working on Bifrost now, I am still very excited to see what comes next for this journal! 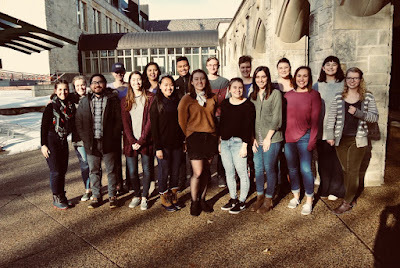 If you have time, I would love it if you would check out the website, and maybe even connect with us on social media!